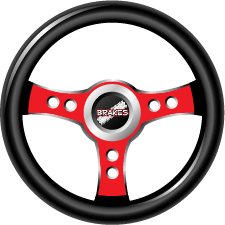 B.R.A.K.E.S Teen Pro-Active Driving School is a four-hour program that partners your teen with professional driving instructors to teach the skills of defensive driving in a controlled, hands-on environment. This life-saving experience is fun for your teen and they will leave with a great level of confidence. The bonus is that parents are offered a chance to get behind the wheel and experience some of the same courses as the teens. If the school is free why do I need to send in a $99 refundable deposit? Attendance to BRAKES is free to all, but we require a $99 deposit to secure your reservation spot. A deposit can be in the form of a credit card or a check. Credit Card: Due to bank and reservation fees we are unable to process credit card refunds after the class is taken, therefore, all credit card payments are NOT considered refundable deposits, they are considered donations. Your contribution is tax deductible and a tax donation receipt will be emailed to you. Check: To get a refund on your $99 deposit you must mail a check to BRAKES. Your check will be held until the class date and then brought to the BRAKES class that you attend. At the completion of the class you have the option of picking up your check or leaving it as a donation to BRAKES. If you choose to leave your check with BRAKES (a 501(c)3 organization) your contribution is tax deductible and a tax donation receipt will be emailed to you. PLEASE READ OUR CANCELLATION AND REFUND POLICY below. If classes are FULL, click the "Waitlist Button" and you will be notified via email of any openings. Do teens need to show proof of ID to enter the event? Yes. Teens MUST bring their valid Permit or Driver's License to participate in our program. Have teens take a cell phone photo of their ID as a backup. What cars are used for the driving courses? We use our school fleet (supplied by our sponsor, Kia Motors America). Can I RESCHEDULE my teen? Certainly, Login and check on class availability to reschedule. If you are cancelling a class we must be notified by email (register@putonthebrakes.org) before 9:30am EST, on the Tuesday before your Saturday/Sunday class, otherwise we will keep your deposit as a donation to BRAKES and a Tax Donation letter will be emailed to you. Thank You and we look forward to seeing you and your teen at BRAKES!